I am unsure as to where this flower ends or where it began. them. I could bring them to me, and I’d be happy. In the quiet way that these flowers are beautiful. Bring them. 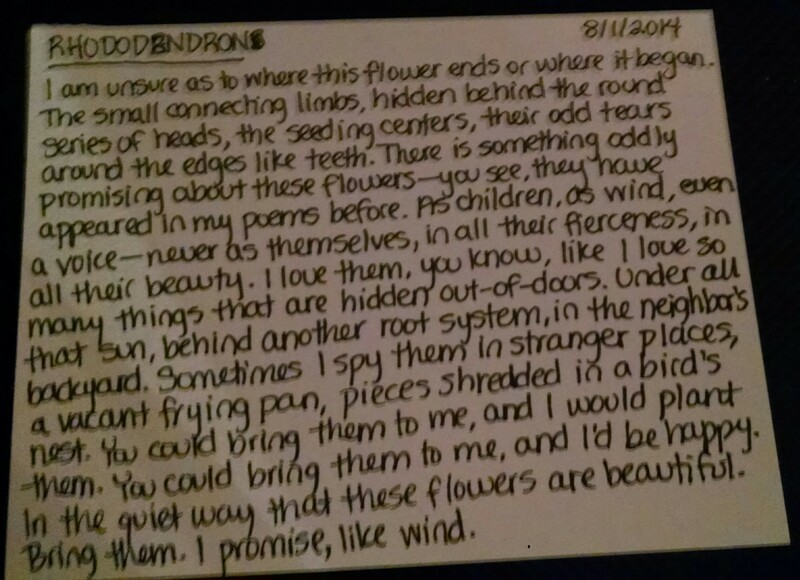 I promise, like wind. 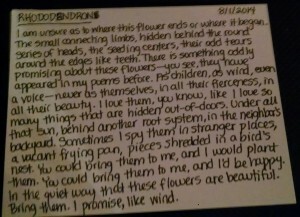 Previous August Poetry Postcard Fest! !